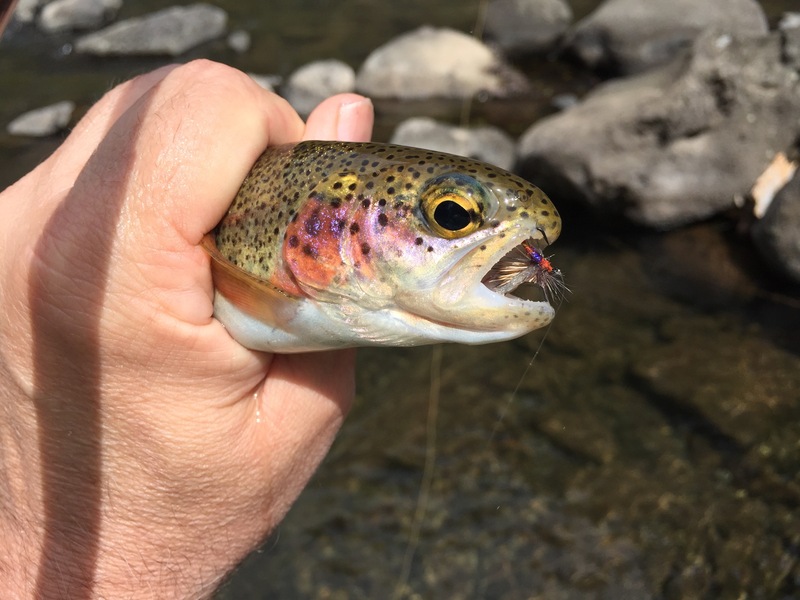 This is a picture of the Onchorynchis Mykiss Stonei–the McCloud River Rainbow trout. Taken on my April 25th jaunt up the hill. Go ahead. Click on it. It’s a cool pic. It has also become the default picture that Facebook grabs when I post my newest blog offerings, making all my readers think I’m billboarding my writing with the same, sorry picture. Unless I deliberately go into the setting of each blog post and specifically assign it a picture, faceBook will continually assign this picture as a default. But is it FaceBook, or WordPress? My guess it’s the latter. I say this because their Iphone app makes me mad, and I need to lash out like a big baby. You know, kind of like the losers that litigate their injuries to the thing nearest them with the most money. But really, I do think it’s WordPress. And I apologize for homogenizing the graphic. This entry was posted in Blogging, Blogging advice, Social media and tagged featured, images, Traffic, wordpress. Bookmark the permalink.